In my E-News report in December 2018 I had the chance to thank the many contributors who took the time to be part of our committees, give inputs into public comment processes, share an idea for an incubator project or be a “guinea-pig” for the contributor portal pilot. In my first report for 2019 I want to give very specific thanks to two committees who powered through very significant programs of work in 2018. These two committees were part of the reason we were able to publish a record 65 standards in December – it was only a three week month. Thank you to FP-002 (Fire Detection, Warning, Control and Intercom Systems) Chaired by Chris Orr with Eui Kang as Project Manager who published fourteen documents for the National Construction Code (NCC) – 2019. And thank you to CE-012 (Aggregates and Rock for Engineering Purposes) Chaired by Peter Clark with John Anderson as Project Manager, who published two revisions and eight amendments in December, four months ahead of the planned publication date. We know that all committee contributors want their efforts to result in fast and effective projects. This was the impetus for the Technical Governance Review (TGR) that we started in 2017. As we work through the TGR implementation action plan our objective is to be more open, more strategic and more proactively focused on quality assurance. This is essential for us to remain relevant and to adapt to the demands of the future. Thank you to the fantastic team at Standards Australia and to all of the stakeholders who worked with us in 2018. Only in continuing to work together can we deliver the standards that keep Australians safe and our economy efficient. Standards Awards 2019 – Nominations now open! 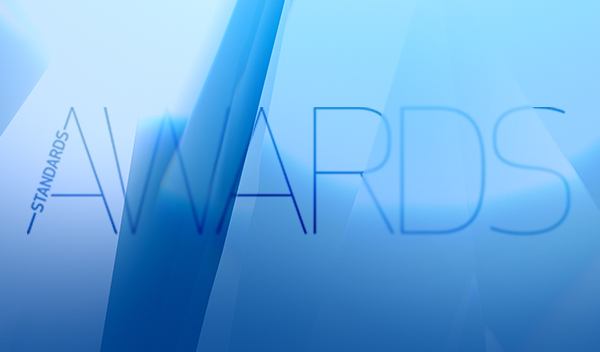 To make a nomination, visit our Standards Awards page. Many contributors will be aware of the Academy online learning platform provided by Standards Australia. This platform is for committee members and committee chairs to ensure their involvement in standards development is as productive and effective as possible. To ensure this learning tool continues to deliver for the thousands of committee members there is an upgrade scheduled for Monday 4 March of this year with some exciting changes. The new platform will provide easy access to learning content, facilitate enrolment in face to face training across Australia, deliver webinars, host a resource library for supporting materials, and will be even more compatible with mobile devices. Book your free training courses now. Expressions and language used within an Australian Standard. Drafting of specific clauses within an Australian Standard. Please email [email protected] to enrol. 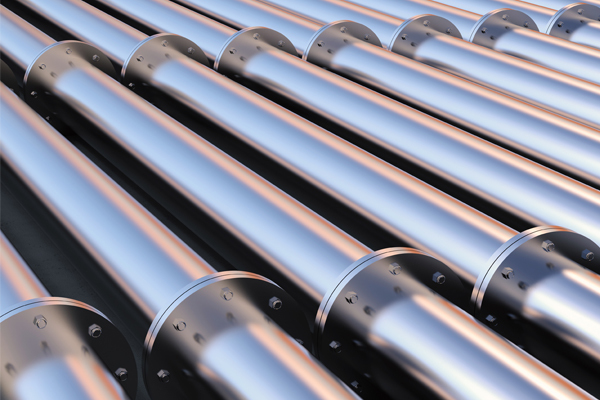 The extensive network of pipelines carrying gas and liquid petroleum for use in Australia is the focus of several recently published standards assisting the sector to remain efficient and innovative in years to come. 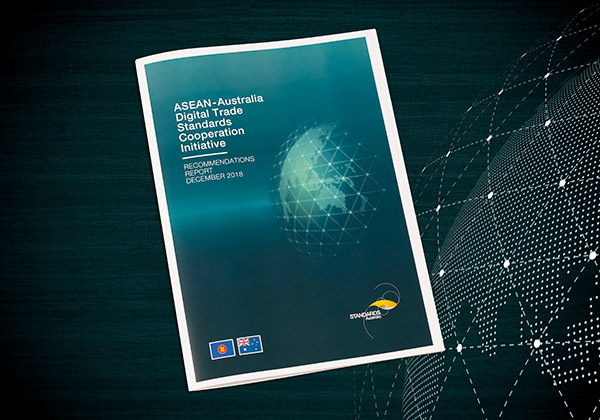 Realising the potential of digital trade across Australia and the South East Asia region is the focus of a Recommendations Report released recently by Standards Australia. 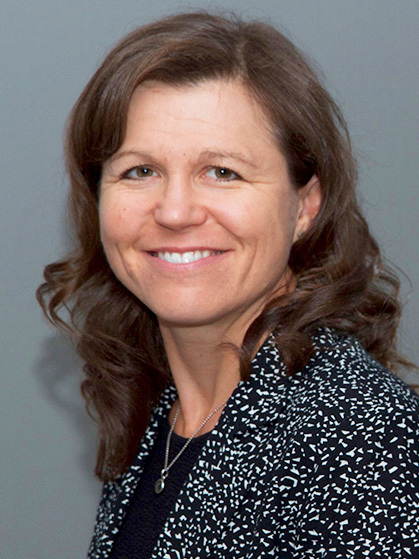 Susan Jaques has a degree in civil engineering, and works as an independent consultant in the areas of risk, quality, and competencies for the infrastructure industry. 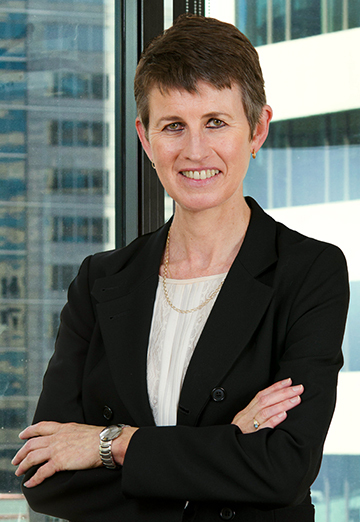 Susan has been involved in the Australian pipeline industry for over 20 years, has been on Standards committees for 15 years, is the Chair of the Australian Standards Committee ME-038 Petroleum Pipelines, and is an active member of all of the subcommittees associated with ME-038. Standards Australia: What do standards deliver for your sector? Susan Jaques: In the energy sector, particularly transporting hydrocarbon fuels, it is essential that Standards are utilised by everyone in the industry. Standards deliver a framework of consistent expectations – those of us working in the industry have a reliable set of requirements that are kept up to date through an active revision process. SA: Was 2018 as productive as expected? SJ: We knew 2018 would be a busy year with numerous competing priorities for our committees. 2018 ended up as a high achievement year for ME-038 and all of its subcommittees. The committee published four revisions in 2018 (AS 4822, and AS 2885 Parts 0, 1, 6). In addition to those publications in 2018, we were also in the middle of revisions to 4 other Standards in our portfolio: AS 3862, and AS 2885 Parts 2, 3 and 5. SA: What does 2019 hold for your industry? SJ: The look ahead for 2019 shows yet another productive year, with the next four Standards revisions expected to be published within the next twelve months. In amongst those updates, we are also keeping an eye on the new (and revisited) possibilities of transporting hydrogen in our existing infrastructure, as well as carbon storage possibilities. There are intriguing possibilities out there for a carbon-reduced future, and how our existing safe pipelines can be best utilised in a smooth and efficient transition to lower-carbon energy sources. SA: What does the future of standardisation look like? SJ: The future of standardisation, in a lot of ways, should be more of the same, but better. It’s important that the basic tenet of Standardisation prevails: that it benefits the industry by streamlining the approach through a minimum expectation that every participant strives to meet. One of the ways it can improve is potentially through crowd-sourced and real-time feedback for revisions and updates, perhaps utilising technology to have ongoing discussions about clauses and sections that may be causing misinterpretation in real-world applications. The text that was put together in a meeting room rather than in the field can sometimes be interpreted very differently by those who weren’t in the room. Regardless of any challenges, the amount of technology being trialled at Standards Australia and the pursuit of innovation is exciting and the future is certainly looking bright. Our work program to address the findings of the Technical Governance Review is well underway, and various changes are being rolled out this month. Standards Australia has drafted changes to the policies for Committee Chairs to better support this key role in Standards Development. Following review by the Standards Development and Accreditation Committee (SDAC), we are opening the updated version of SG-002 for consultation. Register on our new Public Comment platform, review the changes and submit a comment. We are also seeking feedback on the platform itself. Let us know how public comment worked for you by emailing [email protected] or by taking this quick survey. As mentioned in previous E-News, we’ve made some changes to the way we assess proposals for standards development work. Proposals can now be submitted at any time – there are no fixed submission dates. Also, the finalised proposals will be approved monthly rather than the old 6-monthly cycle. These changes mean we can better respond to the needs of stakeholders, since our technical committees can kick off projects more quickly. We’re maintaining the requirements to assess proposals, to ensure every project successfully delivers benefits to Australia. Since there are other opportunities to improve the proposal process, further projects are underway to make things better. Our Stakeholder Engagement team is always available to assist you with developing successful proposals. Contact them at [email protected]. For information on the progress of projects under our Technical Governance Review (TGR) Implementation Plan for FY2019 (PDF), view the Quarter 2 Progress Report on our website. The new platform for Public Comment was piloted before the holidays, for the standard AS 4632, Over-pressure and under-pressure shut-off devices, and has already received some really positive and insightful feedback so far. Standards Australia is encouraging all committee members to trial the platform and let us know how public comment worked for you by emailing [email protected] or by taking this quick survey. Access the latest standards development news in your industry sector via our Sectors page. AS one of five accredited standards development organisations, Responsible Wood is subject to regular surveillance audits to ensure its scheme is independent, credible, transparent and technically competent. The Standards Development and Accreditation Committee has appointed an independent auditor to oversee the Responsible Wood’s ‘check compliance’ to Standard Development Organisation (SDO) requirements. The surveillance audit provides Responsible Wood with an opportunity to demonstrate its ongoing commitment to standards development. Standards Australia is the owner of the standards and trademarks. As one of five accredited SDOs, Responsible Wood is licensed to develop Australian Standards for forest certification through its ongoing SDAC accreditation. “With the rebrand from the Australian Forestry Standard to Responsible Wood, we are the only forest certification scheme that has the endorsement of Standards Australia for sustainable forest management and chain of custody for forest products,” CEO Simon Dorries said.